Piriton tablets, Piriton allergy tablets and Piriton syrup all contain the active ingredient chlorphenamine maleate, which is a type of medicine called a sedating antihistamine. Chlorphenamine works by preventing the actions of histamine. Histamine is a substance produced by the body as part of its defence mechanisms. It is stored in cells called mast cells, in almost all tissues of the body. When the body reacts to a foreign substance (known as an allergen, eg flower pollen, pet fur), the mast cells are stimulated by the allergen and release their stores of histamine. All this results in the symptoms of an allergic reaction. In hayfever, this causes inflammation of the nose, eyes or airways and results in itchy watery eyes, a runny nose, sneezing and nasal congestion. Histamine is also responsible for the symptoms of allergic and itchy rashes, and allergic reactions to foods, medicines or insect bites. It can also cause more severe allergic reactions such as angioneurotic oedema, which involves severe swelling of the eyes, lips, tongue or throat. Piriton works by blocking histamine H1 receptors. It does not prevent the actual release of histamine from mast cells, but prevents it binding to its receptors. This in turn prevents the release of other allergy chemicals and increased blood supply to the area, and provides relief from the typical symptoms of allergies. Piriton is called a sedating antihistamine because it enters the brain in significant quantities and causes drowsiness. The antihistamine action and the fact that it causes drowsiness also make Piriton useful for relieving itching caused by chickenpox. It may be especially helpful for itching that is worse at night. This is often the case in children, who notice itching less during the day when they are active, but are bothered by it at night when they are still and have nothing else to focus on. What is Piriton used for? Relieving the symptoms of allergic conditions such as hayfever, nettle rash (urticaria), food allergies and reactions to insect bites or medicines. Relieving the symptoms of a more serious allergic reaction called angioneurotic oedema, which causes swelling of the eyes, lips, tongue or throat. Relieving itching associated with chickenpox. If you have ever had an allergic reaction to an antihistamine or to any other medicine. Take Piriton exactly as your doctor advises you. You will be told how many doses to take each day. It is not important whether you take your doses before or after food. If you forget to take a dose, do not worry, take your next dose when it is due. Do not take two doses together to make up for a forgotten dose. Piriton may make you sleepy. If this happens, do not drive or use tools or machines, and do not drink alcohol. 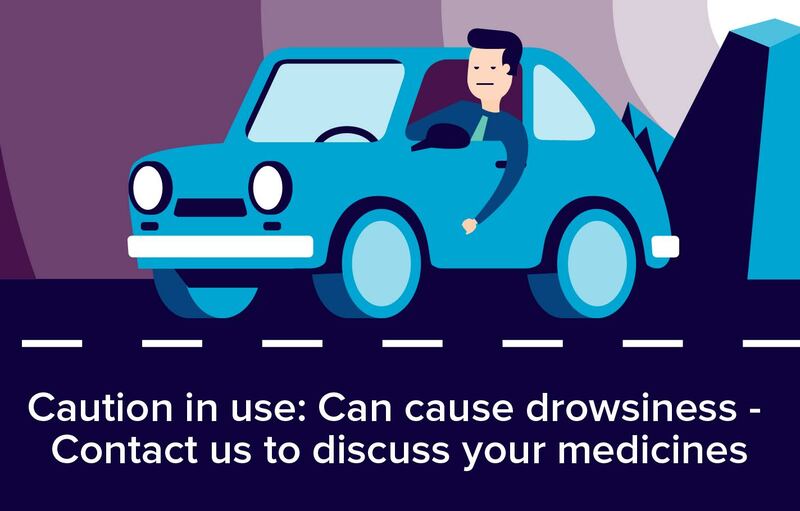 If you buy any medicines, check with a pharmacist that they are safe to take alongside Piriton. If you are having an operation or dental treatment, tell the person carrying out the treatment that you are taking an antihistamine. Elderly people (who are more prone to side effects so a lower maximum dose is recommended). Children (who are also more prone to potential side effects). People with widening of the airways, which may be hereditary or due to infection (bronchiectasis). People who have difficulty passing urine. People with severe cardiovascular disease. People with very high blood pressure (severe hypertension). People with an overactive thyroid gland (thyrotoxicosis). People who have taken a type of antidepressant called a monoamine oxidase inhibitor (MAOI, eg phenelzine, tranylcypromine or isocarboxazid) in the last 14 days. Piriton tablets and Piriton allergy tablets contain lactose and are not suitable for people with rare hereditary problems of galactose intolerance, Lapp lactase deficiency or glucose-galactose malabsorption. Piriton syrup contains sucrose and is not suitable for people with rare hereditary problems of fructose intolerance, glucose-galactose malabsorption or sucrose-isomaltase insufficiency. Disturbances of the gut such as indigestion, diarrhoea, constipation, vomiting or abdominal pain. Increased energy, restlessness or nervousness (children and elderly people are more susceptible to these types of side effect). Thickening of the mucus in the lungs. Inflammation of the liver (hepatitis) or jaundice. Skin reactions such as rash, hives or increased sensitivity to sunlight. How can Piriton affect other medicines? You should not use other antihistamines in combination with this medicine. Some cough and cold medicines contain antihistamines, so always check with your pharmacist before taking other medicines in combination with this one. This medicine should not be used by people who have taken a type of antidepressant called a monoamine oxidase inhibitor (MAOI) in the last 14 days. This is because side effects such as blurred vision, dry mouth, drowsiness or constipation may be intensified by MAOIs. MAOIs include phenelzine, isocarboxazid and tranylcypromine. For more information ask your pharmacist. tricyclic antidepressants, eg amitriptyline, nortriptyline. Piriton may oppose the effect of histamine (used to treat leukaemia) and is not recommended for people having this treatment. Piriton may also oppose the effect of betahistine (used to treat Ménière's disease). Piriton may increase the blood level of the antiepileptic medicine phenytoin.